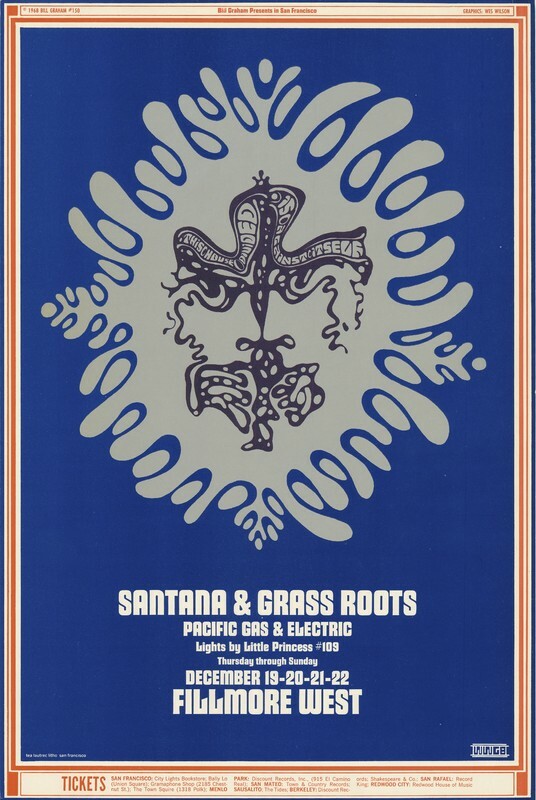 Conklin, Lee, “Santana, Grass Roots, Pacific Gas & Electric - This House Divided Against Itself - Bill Graham Presents in San Francisco - December 19-22  - Fillmore West,” Grateful Dead Archive Online, accessed April 21, 2019, https://www.gdao.org/items/show/391394. 1st printing. Bill Graham #150. Quite useful and helping updates here form the history. The scientist are doing great and brining the latest technology and bring improvement in the human life. Thank you and please bring more useful updates here.